So as you can see, even if you discount that Egyptian bloke who makes 150 new teams each week in the hope of winning a sweat-band, there are going to many people who simply are not playing a chip; game on! Whether you’re on your FH, WC, TC, BB or BS (Behind Sofa) I’m going to make the assumption that if you are bringing players in this GW, that it will be one with a DGW. Righto, enough with the acronyms lets talk tips! 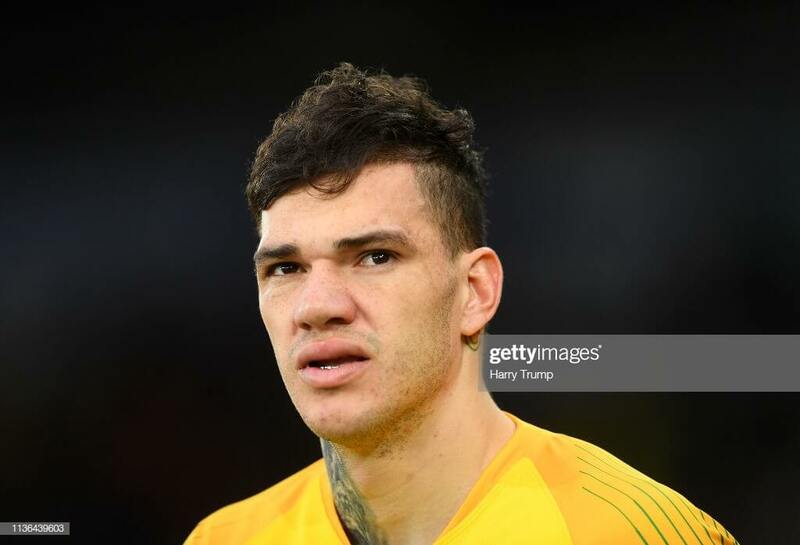 Four clean sheets in the last five for Manchester City suggests that if you’re after the keeper most likely to keep a pair of clean sheets this DGW then Ederson (£5.6m) is your man. You couldn’t have asked for much better (when I say better I mean worse) opposition in Fulham and Cardiff. Throw in the fact that City have conceded the fewest shots in their last four (16) and that the Brazilian also boasts the highest save percentage (83.3%) of any of the DGW keepers over the same period, and you have a compelling argument that you need look no further. Whilst Chelsea stopper Kepa Arrizabalaga cannot boast the form of Ederson, a trip to South Wales to play Cardiff, followed by the visit of a Brighton side bottom of the table for big chances (4) in their last four suggest that the Spaniard could be a worthy substitute. If you’re counting your pennies or simply tripling up on Manchester City attacking assets then Kepa at £5.4m could be the keeper who’s a kepa for you. Whilst the first two picks offer superior clean sheet potential, it comes at a price. At £4.6m, final pick Ben Foster could be a potentially lucrative budget alternative. Whilst a clean sheet in Watford’s trip to Old Trafford seems unlikely, the stats show only Fulham keeper Rico has made more saves in his last four than Fosters 15 – perfect for racking up those save points. Fulham then visit Vicarage road in the midweek fixture and no team has scored less than the 3 scored by Fulham in their last four, meaning a clean sheet seems more than attainable. I’ve already highlighted Chelsea’s fixtures, and given that only Liverpool & City have achieved more clean sheets than Chelsea’s (12) this season, it’s no surprise to find defenders David Luiz and César Azpilicueta here. 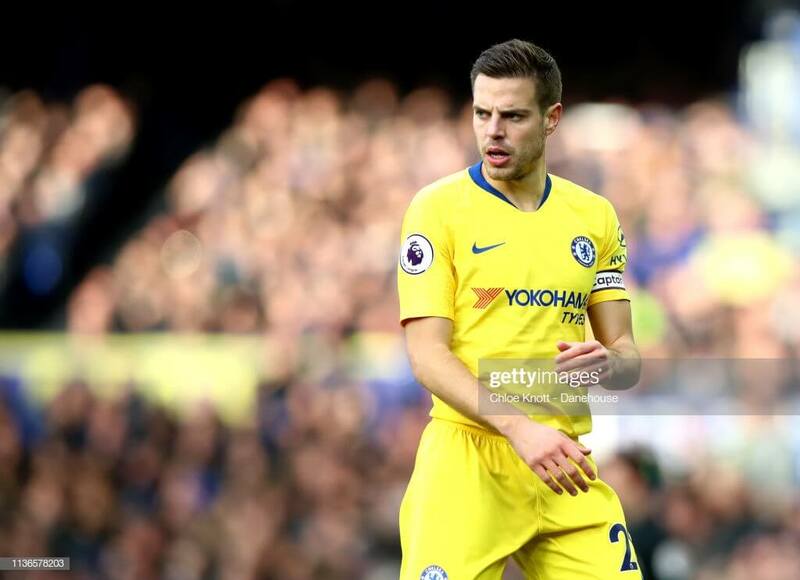 Both players also offer the potential of returns above and beyond clean-sheets; Luiz 2 goals, 2 assists and Azpilicueta 5 assists (3 of which have come in his last 6 appearances). It may come down to budget which one you ultimately choose, but both Luiz (£5.9m) and Azpilicueta (£6.3m) offer greater game-time security than former FPL darling Marcos Alonso. Whilst Ederson offers the safest route into the Manchester City backline, Aymeric Laporte (£5.9m) could be the better risk and reward option. The risk; he’s only just returned from a 3 game injury absence. The reward; he picked up 32pts in the five matches that preceded it, including a goal, an assist and 20pts in City’s GW25 double. Nice. They don’t have the form (no clean sheets in their last 3), they don’t have the credentials (just 7 clean sheets over the whole season) hell, they don’t even have the fixtures (Watford at home and Wolves on the road), yet here they are. So why have I picked a Man Utd defender? Well, I’ve seen them in pretty much every other RMT, so if you’re going to pick one; pick the right one. Victor Lindelöff finally had his baby (well his Mrs did) so he’ll likely be the one most people go for and he’ll probably serve you well. However, if you can afford it go with Ashley young. At £5.7 he’s a little more expensive, but in his last 6 matches, he’s created 11 chances, by comparison, only Trippier, Digne and Alexander-Arnold have created more. Whenever there’s an out of the ordinary game-week (such as a blank or a double) there is always one player who becomes the Twitter poster-boy. This week is no different; Jeffery Schlupp (£4.5m) it’s your turn to shine. Playing out of position (in the Palace midfield) he’s registered 3 assists in his last 4 matches and his 4 goals on the season show that he’s more than capable of getting an attacking return; especially at home to Huddersfield. Don’t believe the hype? If he’s fit just stick with Aaron Wan-Bissaka; you probably already own him anyway. You probably don’t need me to tell you why Raheem Sterling should be in your team this coming game-week. I’m going to tell you anyway. 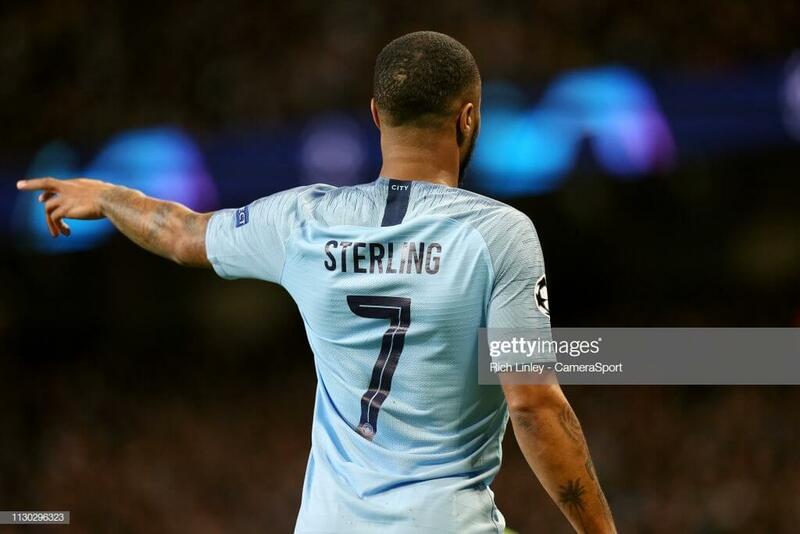 Second top scorer in the game, he followed up his hat-trick against Watford in GW30 with another one in England’s first qualifying match for Euro 2020 against the Czech Republic. He has 15 goals, 13 assists and plays Fulham and Cardiff this week, just put him in and go from there. The next two ‘tips’ are fairly obvious ones. Neither Paul Pogba nor Eden Hazard head into the DGW with anything like the form you would expect. However, everyone will have at least one of them, most will have both. Both players have the ability to return double-digit scores, both have the fixtures and the pedigree to suggest ignoring them would be either very brave or very foolish. Such is the attacking prowess of Manchester City it may be prudent to simply forgo their defensive assets entirely and triple up on their offensive players. If you do so then the obvious ones are Sterling and Aguero, but with 3 assists in his last 5, David Silva (£8.5) should not be overlooked. It may be a Double Game-week, but Sadio Mané more than warrants his place in this week’s tips. 43pts in his last 4 including 3 double-digit returns of 13,14,13. Yes, he only has one game, but we all know from experience that there are always single game-week players who outscore double game-week players. It’s happened before, it will happen again. You have been warned. With so many expensive players likely to eat up your budget, those on their FH or WC need some cut-price enablers to make up the numbers. Luckily Gerard Deulofeu is both cheap (£5.6m) and also the most in-form player in FPL at present. 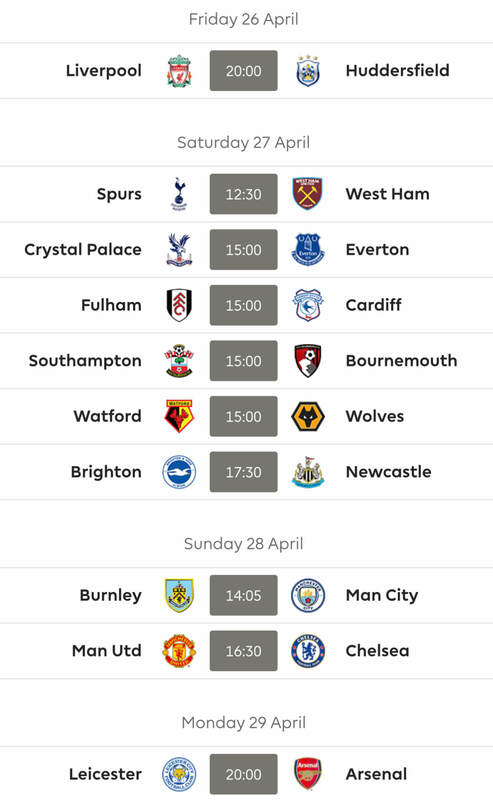 Since his 23pts in GW27, he’s also picked up two 6-pointers and whilst many will point to possible rotation there are a whole 5 days between the visit of Fulham and Watford’s FA Cup Semi-final against Wolves. Since joining Crystal Palace in 2017, Luka Milivojevic (£6.3m) has taken 19 penalties and only missed twice. You can’t predict when a team will be given a penalty of course, but given that the Eagles have been awarded more than any other Premier League side over the last two seasons (19), the man who has played every minute of the season thus far is a shrewd pick in my humble opinion. I honestly feel that there is only one ‘must have’ forward this game-week. I’m yet to see a FH team without him and if you’re not playing a chip this week you better be damn sure that Sergio Aguero is at least in your team. He’s averaged 81 minutes in his last 8 games and he’s scored 8 goals and 2 assists across those fixtures. It’s not my place to tell you who to captain this game-week, but I imagine there’ll be a fair few on the Argentine and probably a healthy dose of TC’s to boot. Now to simply pick who I think are the other ‘best’ strikers to sit alongside Sergio, the truth is though, I just don’t know. Sure, there are options, the problem is each and every one of them comes with a caveat … or two. So here is the best of the rest. 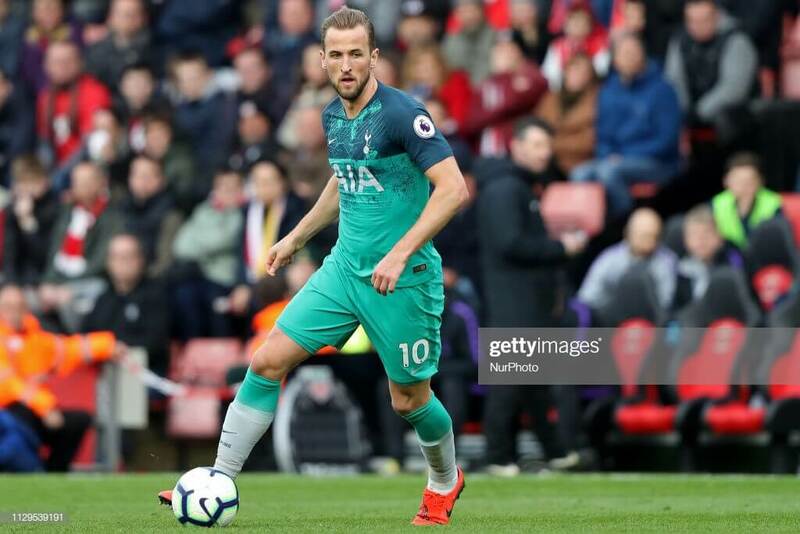 Harry Kane has the form (sort of) but he’s expensive, it’s Liverpool away first, and then Palace at home, a fixture that usually ends up low scoring home or away. If you can afford him without messing up your team (I.e. if you have to play a 4th mid that nobody in their right mind would usually touch with a bargepole) then go for it, personally, I’m not convinced. Raúl Jiménez is the man with form and as he’s shown time and time again, he can score or assist regardless of the fixture. Will he play both fixtures? Who knows, and that the problem. Rashford, Lukaku, Zaha? All currently yellow flagged. All three players have promise, the latter 2 have the form, but unless we get a clear indication they’re fit then you may be better off just avoiding. Troy Deeney or Glenn Murray? Will they play both? Not a clue. Then there’s Higuain, he’s more expensive than Jiminez, less expensive than Kane and has inferior form to both. However, he does have the fixtures. That pretty much leaves Michy Batshuayi, he’s scored twice and has an assist in the four matches he’s started and he does have Huddersfield at home, so yeah, maybe him. As you can probably see, there are no real easy answers to this particular puzzle, maybe just go with Aubamayang or Lacazette, with Newcastle at home it’s conceivable that they could outscore any of the aforementioned players in that fixture alone. That’s your lot folks. I’m off to create FH draft version 963, see you all on the other side and may your arrows be like the Incredible Hulk; green and massive. 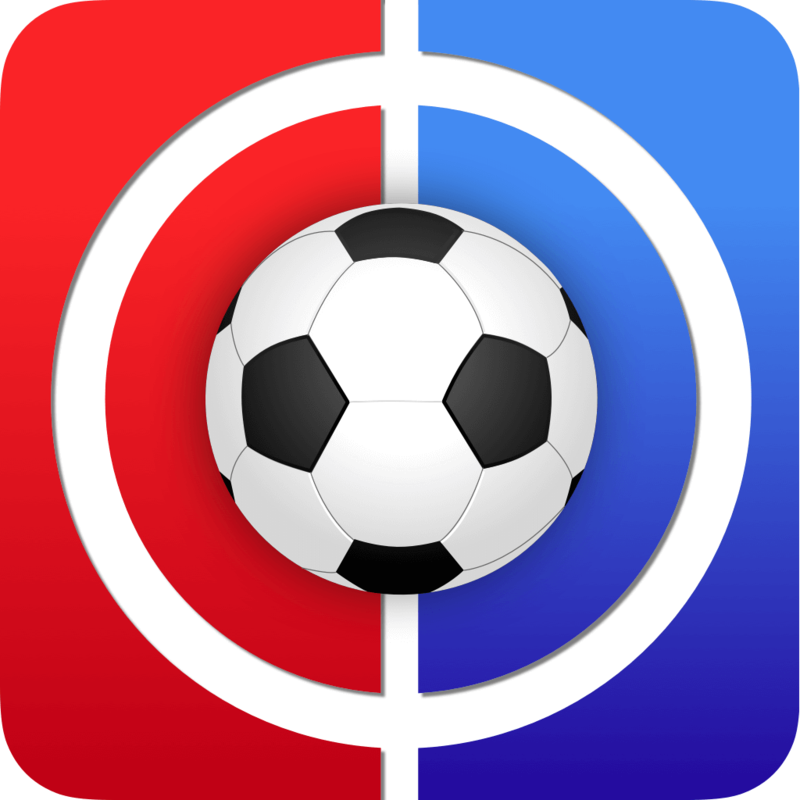 Thanks for reading Fantasy Football Tips Gameweek 32. This article was written by Rosco. Can you guys let me know what you think of my team please. I must be the only person i’ve seen who has gone with Lloris in goal but i’ve run out of room for Unitec, City and Chelsea Players. Is that crazy? Pool have struggled to break down teams in certain games and Palace are by no means a cert to score away from home?